We opened our doors for business in 2001 as a distributor and wholesaler of cell phone accessories. 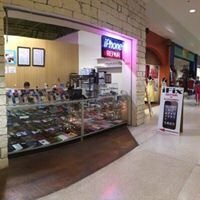 Today we offer one of the largest collections of cellular phone accessories carrying everything from essentials such as batteries and chargers to the most eye catching fashion accessories for most cell phones, whatever the manufacturer or carrier may be we pride ourselves in having a wide selection of accessories with great depth and having accessories in stock for even the newest models. We are located in Houston, Texas and have customers nationwide; we ship all across the country with a range of carriers to get the products to you fast and at affordable freight rates. Being in the business since 2001 we are experienced in most markets and know what items perform well in these market segments. Use our experience to streamline your business – we can assist you in getting merchandise that moves. We also carry a large selection of phones for all carriers, unlocked GSM, CDMA, WC CERTIFIED REFURBISHED phones tested to our rigorous quality standards. We take pride in our products and in our customers. Your satisfaction and the growth of your business along with ours is our goal. We appreciate your business and hope to do business with you for many more years. Phone Repair Ambulance "we come to you"